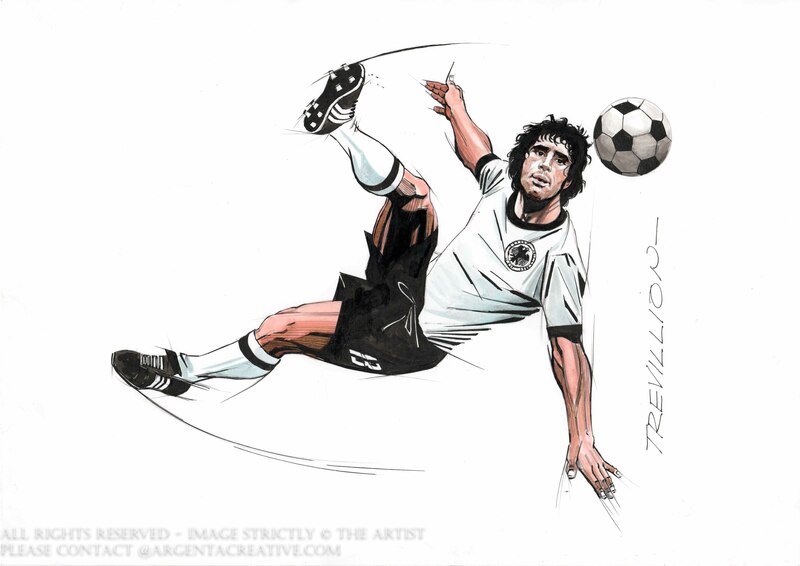 Gerd Muller was a prolific German Striker who earned the nickname Der Bomber( The Nations Bomber). At international level with West Germany he scored 68 goals in 62 appearances and at club level with Bayern Munich he scored 365 goals in the Bundesliga games and 66 goals in 74 European club games. Muller won the European Footballer of the Year in 1970 the same year he scored 10 goals in the 1970 FIFA World Cup Finals winning the tournamount Golden Boot. Four years later he scored the winning goal in the Fifa World Cup Final.